As educational technology is rapidly changing, greater emphasis has been placed on preparing the next generation of teachers for effective technology integration into the classrooms. In this article, the authors describe the design, implementation, and evaluation of a course on digital game-based learning (DGBL) developed for the preservice teacher training programme in health science education in Flanders, Belgium. The objective was to provide an opportunity for teacher students to explore (i) the possibilities, considerations and constraints related to the use of digital games, and (ii) the practical design and try-out of a game in classroom settings. 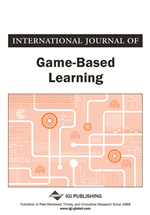 Results show that the games’ inclusion in the formal curriculum helps students to experience how DGBL can contribute to teaching and learning, improves self-confidence on technological skills, encourages the students to use DGBL in their future teaching activities, and enables them to engage their supervising teachers into using games in their classrooms. The use and impact of information and communication technology (ICT) has progressively increased over the past decade. In Flanders, 68% of the adults (18-85 years) has a home computer and 62% has an internet connection at home (Moreas, 2007). Also, professional environments are already geared towards ICT. Being able to handle e-mail, text processing and databases is a necessity in the current economy dominated by digital media. Furthermore, in education, computer technology serves as a valuable and supportive tool to improve teaching and learning and allows new types of teaching and learning experiences to evolve (Egenfeldt-Nielsen, 2007; Tang & Austin, 2009). For instance, the concept of digital game-based learning (DGBL) has been growing for many years now. While there has been much written on the negative aspects of computer games, it has also been recognised that they have potential advantages and benefits. According to Ke (2008) and others, frequently-cited arguments for using computer games in education are: (a) computer games can engage learners (Annetta, Minogue, Holmes, & Cheng, 2009) (b) computer games can encourage active learning or learning by doing (Garris, Ahlers, & Driskell, 2002) (c) empirical evidence has shown that games can be effective tools for enhancing learning and understanding of complex subjects (Liu, Cheng, & Huang, 2011), and (d) computer games can foster collaboration among learners (Kaptelin & Cole, 2002). In addition, DGBL has the potential to apply new ways of ICT-based instructional design and simultaneously allow learners to acquire skills and competencies that are required in the professional world. Still, most teachers are not applying DGBL except to reward learners after the ‘real’ work is done. This indicates that games are generally used as a reward rather than an educational medium. Several issues that hinder the effective use of technology in the classroom have been described in the past and can help to explain the slow uptake of DGBL. Russell, Bebell, O’Dwyer, and O’Connor (2003) suggest that teachers’ attitudes and beliefs toward technology can greatly influence their decisions to adopt and frequently use technology in the classroom. Reports on gaming in the media (e.g., violence, addiction, or gender stereotyping) do little to help alleviate negative beliefs on using games for educational purposes. For example, in the late 1990's a large number of high-school shootings were blamed on violent video games, the most devastating being the shooting at Columbine High School in Colorado in 1999. In 2010 in South Philadelphia a teenager killed his mother because she took away his PlayStation (Sheridan, 2010). The case highlighted once more the growing dangers of game addiction to the public, but they may have lacked perspective and objectivity. In addition to misconceptions and negative beliefs, many teachers are unaware of the educational potential of DGBL. Teachers should either observe or experience learning with games to gain a better understanding of the positive effect of DGBL on teaching and learning. However, even the best ideas about the use of games will remain unused unless teachers have the skills and knowledge to integrate technology and games into the classrooms (Becker, 2007). Teacher’s belief (self-efficacy) about their ability to use computers in instruction is thought to mediate the relationship between skill and action. Before they embrace the concept of DGBL, teachers need to have confidence in their own ability to create and/or use educational games. Also, according to Facer et al. (2007) it is difficult to strike a balance between the games' narrative and their curriculum relevance, which emerges as a result of using software that is designed neither for schools' educational objectives, nor for classrooms. Furthermore, financial constraints in many schools make it very difficult to argue for the purchase of commercial computer games, and computer equipment needed to run most newer games (Becker, 2007; Felicia, 2009).